On Monday the Nobel Prize for Physiology or Medicine was awarded to Sir John Gurdon of Cambridge University and Shinya Yamanaka of Kyoto University for their pioneering work in cloning and stem cells. Gurdon originally showed back in 1962 that the nucleus (and DNA) of a cell taken from the gut of an adult frog could be transfered to an unfertilized egg cell, which could then be induced to develop into a tadpole. The first vertebrate clone! "Once the principle is there, that cells have the same genes, my own personal belief is that we will, in the end, understand everything about how cells actually work." I'd like to think that prediction will eventually come true. The rhythm of life: Biologist Peter Larsen has taken seven years worth of environmental and genetic data from his study of the microbes in the English Channel and translated it into jazz. "To turn data into music, Larsen employed a few different approaches. In one composition, the chord progression comes from seasonal shifts in radiation intensity while the melody – restricted to an octave and a half – came from the combination of eight notes, each tied to a chemical measurement. If nitrate concentrations are high for a given sample point, its note in the corresponding measure will be high-pitched, and vice-versa. Every oceanic observation gets its own musical measure, so each song covers a time course of several years." You can listen to several of the compositions and or watch videos with his musical accompaniment. 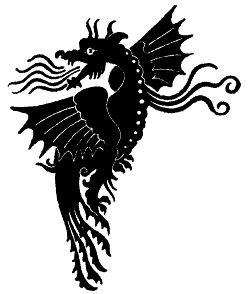 Dragons as depicted in art and literature are pretty scientifically implausible. They have too many limbs - vertebrates have evolved to have no more than four - and can breathe fire. But is there a way dragons could be engineered? Maybe there is! Check out elfinn's analysis of dragon genetics at Mad Art Lab.
" [. . . ] through the 20th century [science fiction] emerged as the culture of choice for the people doing the hands on work of making the future happen – the engineers, programmers, designers and various creatives most exposed to future-shock. It’s the geeks who love SF, in books, comics, films and video games. And as geeks have taken over the world, geek culture has become inextricably part of mainstream culture, so that now ideas born in SF, of space travel, intelligent machines and cyber-enhanced humans, have become common place." Mars Science Laboratory Deputy Project Scientist Ashwin Vasavada talks about the search for life on Mars and other goals of the Curiosity Rover mission. Slime molds can "remember" where they've traveled by detecting the slime trail they leave behind.